California Traffic Ticket Lawyers Can Fight Your HOV or Carpool Lane Ticket! 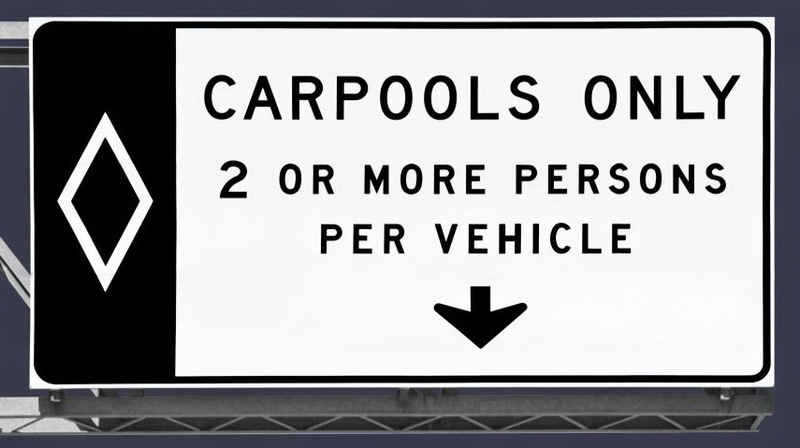 A high-occupancy vehicle lane (also known as an HOV lane, carpool lane, diamond lane, 2+ lane, and transit lane is a restricted traffic lane reserved at peak travel times or longer for the exclusive use of vehicles with a driver and one or more passengers, including carpools, vanpools, and transitbuses. The normal minimum occupancy level is 2 or 3 occupants. Many jurisdictions exempt other vehicles, including motorcycles, charter buses, emergency and law enforcement vehicles, low-emission and other green vehicles, and/or single-occupancy vehicles paying a toll. HOV lanes are normally created to increase average vehicle occupancy and persons traveling with the goal of reducing traffic congestion and air pollution.